Precision machined high quality aluminium alloy construction with matt black anodised finish. 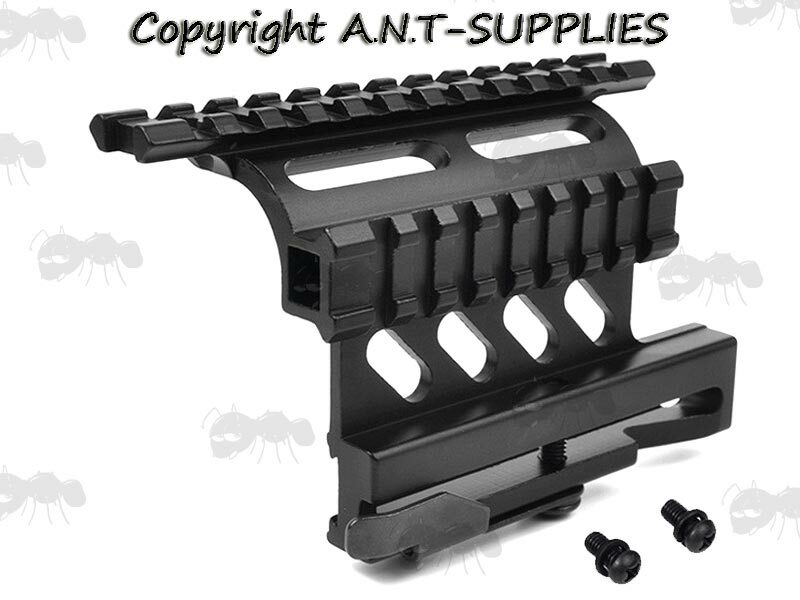 Also available ~ AK side mounting plates. 5 inches / 125mm long rail. 3 inch / 75mm high overall. 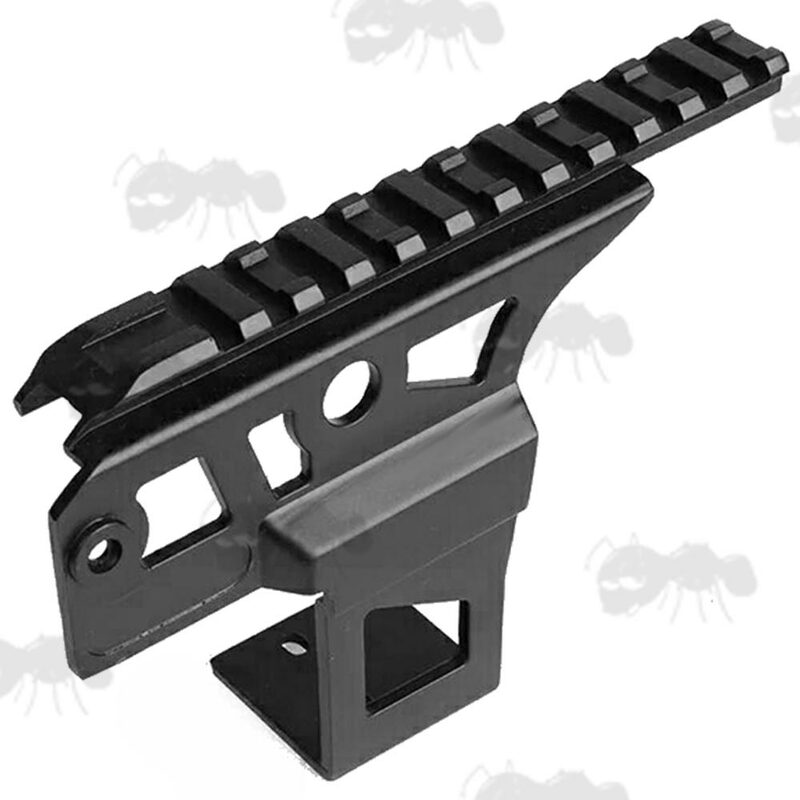 5¼ inches / 133mm long rail. 3½ inch / 87mm high overall. Next > Top and Side Rail Mounts. 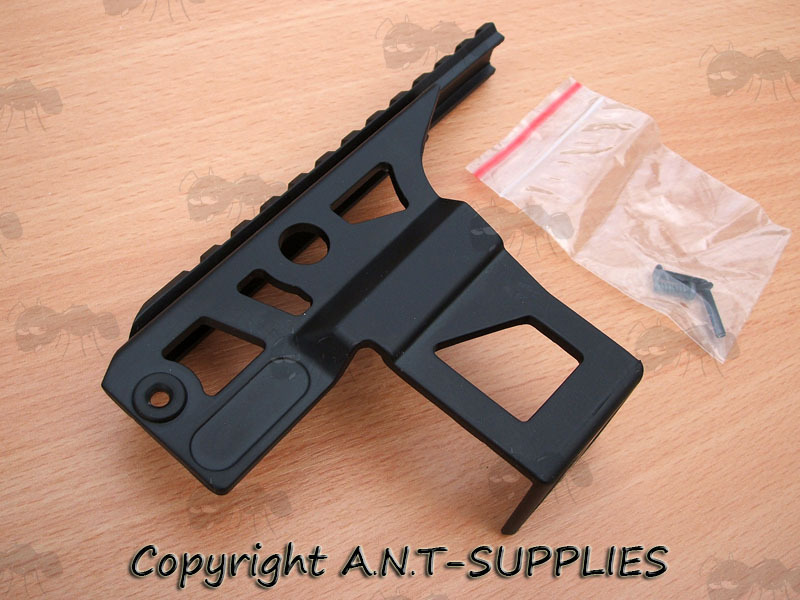 Fits most but not all airsoft AK47's and variants, the double rail versions below are more universal fitting. The bolt on version is best suited to red dot sights etc, as it sits forward on the rifle. It will require more Gunsmithing than the other mounts. 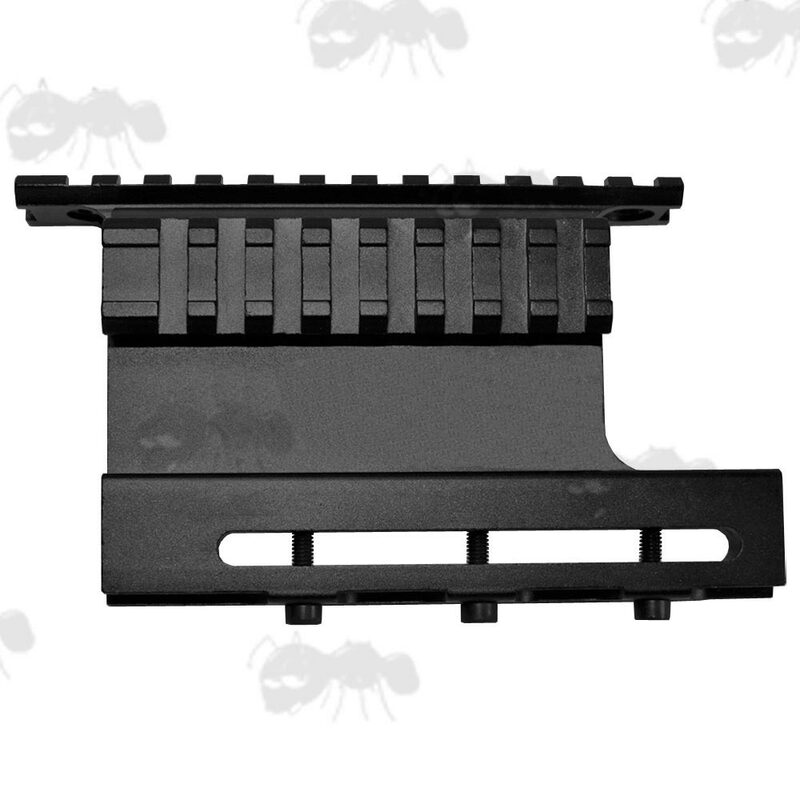 You will need a dovetail side bracket fitted to accept the qd version. 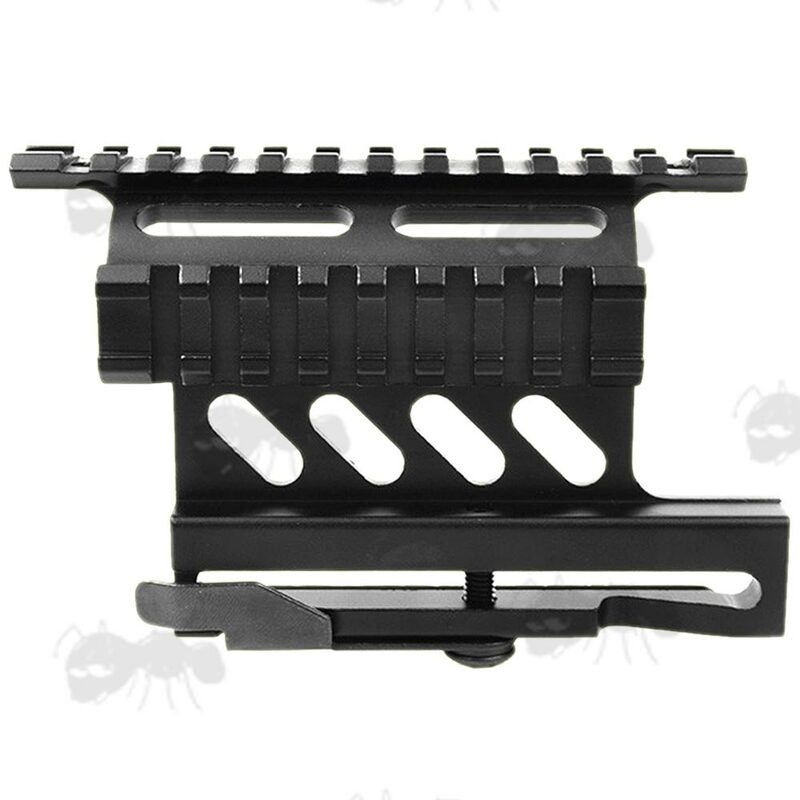 Detailed one piece quick release double rail mount for the AK series. 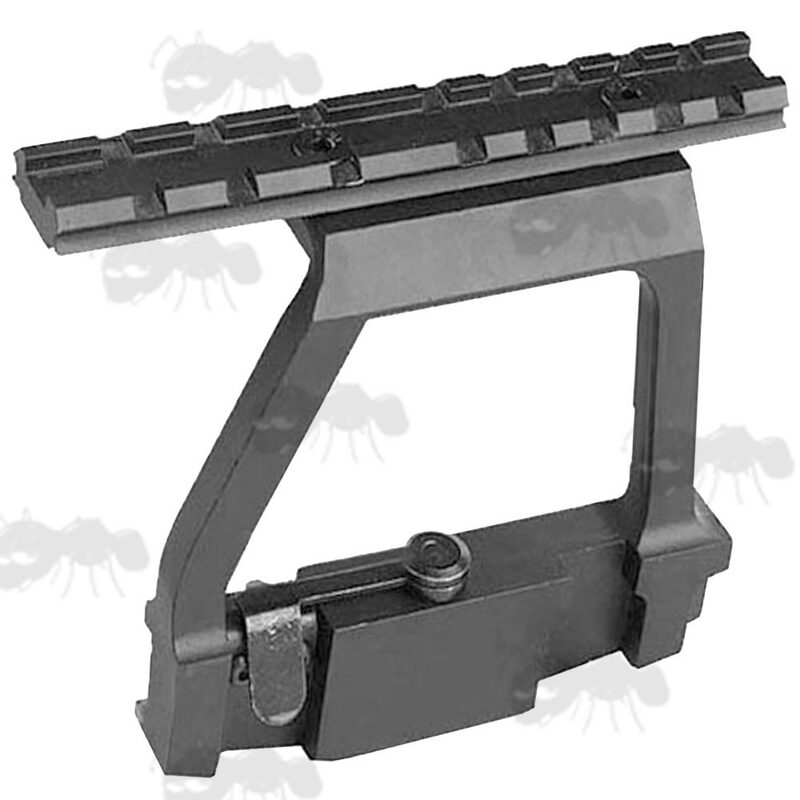 The QD version is easy and fast to fit and remove with the quick release throw lever. You will need a dovetail side bracket fitted to accept these mounts.